After a successful first edition with over 200 participants from over 10 different countries, the FIRA International Forum of Agricultural Robotics is back! FIRA 2017 will take place in Toulouse, France on November 29th and 30th, 2017. The event includes internationally recognized speakers, pitches from agricultural innovators, an exhibition area and demos of agricultural robots, as well as a barcamp to discuss tomorrow’s agriculture. All FIRA events are resolutely international and open to all: they will be live streamed on YouTube and available in English and French. FIRA 2107 : 2nd edition, 3 goals! November 29, 2017: internationally recognized speakers, pitches and multiple exchanges with the public. Throughout the event, the exhibition area will also highlight the agricultural robots on display as well as the partners of this second edition. November 30, 2017: barcamp workshop day for participants only (no visitors)! The goal is to work together on specific issues and to exchange views on agricultural robotics in order to establish a clear roadmap for the future of the sector. In order to make the event as interactive as possible, all interventions will be live streamed on YouTube. The #FIRA17 twitter hashtag will also allow followers to ask their questions directly to the speakers. 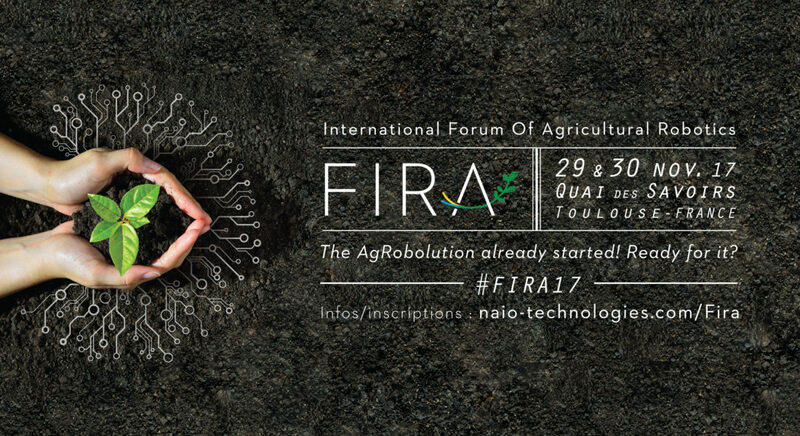 “The goal of FIRA 2017 is to lay the groundwork for the sector of agricultural robotics,” explains Gaëtan Séverac, Naïo Technologies Managing Director and FIRA organiser. “FIRA is more than just an event: it’s the perfect occasion for participants to present existing farmbot solutions but we believe the forum should also help prepare the ecosystem to solve the issues farmers are confronted with on a daily basis,” adds Aymeric Barthes, the company’s co-founder. Even though Naïo Technologies has initiated and organised FIRA for two years now, “we simply want to stimulate the dynamics of the farmbot sector. To extend the reach of FIRA, we’d like for the event to be hosted in a different part of the world next year, preferably by a major player in agricultural robotics,” Gaëtan continues. On the evening of November 29th, there will be time for an informal meet-and-greet cocktail before the Toulouse Metropole award ceremony for the Move Your Robot 2017 contest. 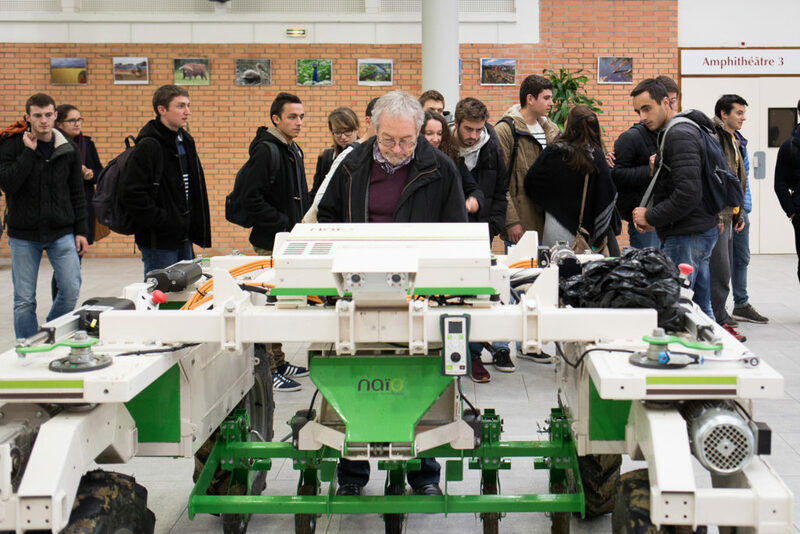 November 30th is barcamp day, with workshops on the creation of an international sector for agricultural robotics. All FIRA 2017 participants will be invited to work together to further develop the themes that were raised in 2016 and establish concrete actions for the field.